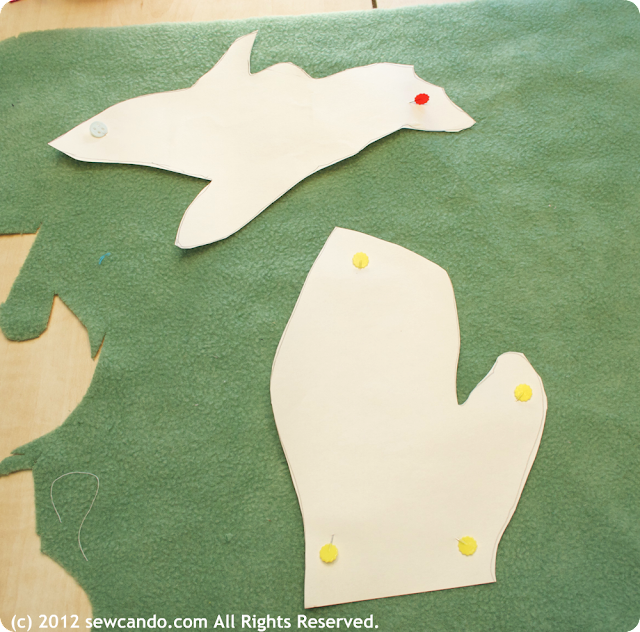 Making your own patterns is not as daunting as it sounds. Having the right supplies can make it a lot easier though, so today I'm sharing my Top 5 Supplies for Making Your Own Sewing Patterns. Since I'm theming August "Sewing Pattern Month" on the blog, I thought this would be the ideal way to kick things off. Now let's get into my list. There are three different materials I like to use for drafting patterns. Which one I use depends on what I'm doing, but all three are worth having, so they're in the top three spots. 1. 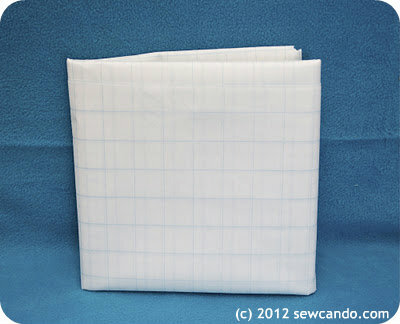 Quilter's Layout Grid (aka Grid Nonfusible Interfacing) is a non-woven material with a grid, usually 1 inch squares. It's like giant graph paper, but more thin dryer sheet texture. I use this most when making patterns. It doesn't tear, cuts well with a rotary cutter and the grid really helps with measuring and precise design. You can write on it too, but I recommend using pencil, unless you've got something under it or the marker/pen will get on your surface (ask me how I know). This is ideal for making crafts, bags, etc. The other thing I really like about this particular material is that it's translucent, so it also makes cutting out fabric easier when there's a print you want to line up just right. You can see it all before you cut, which saves on mistakes. 2. 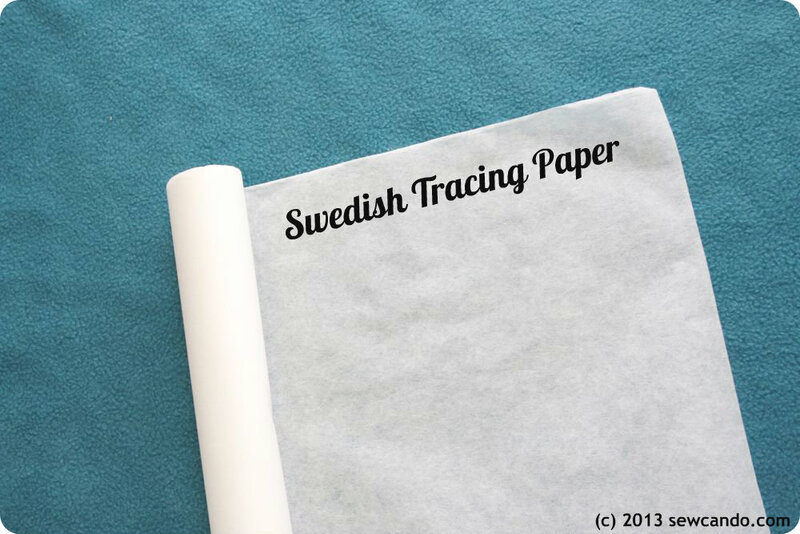 Swedish Tracing Paper isn't really paper at all, more like a very thick dryer sheet, so it won't tear and can be treated like fabric. You can actually sew it together like a muslin, which makes it save some time. Just rip out the basting and then you've got a super strong master pattern to reuse over and over. You can write on it like paper. It's the most expensive pattern material, so I tend to save it for special projects. 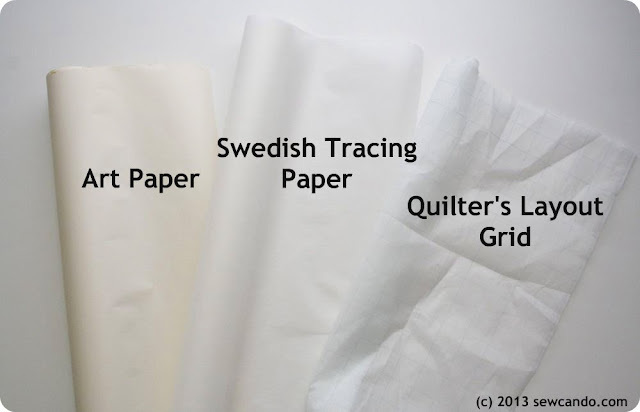 It's ideal for clothing or making a longer-lasting version of patterns you use a lot. 4. 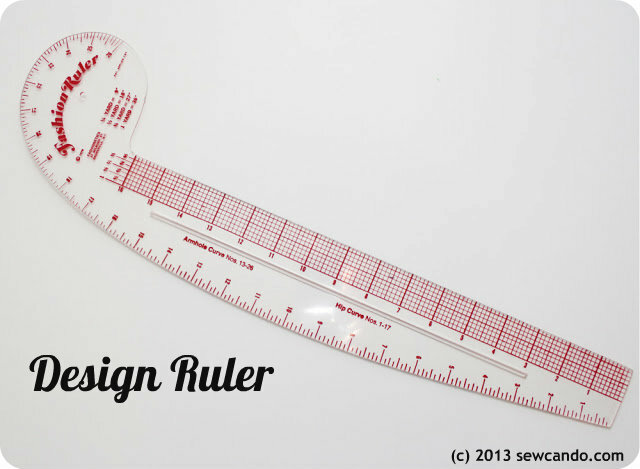 Design Ruler. This clear ruler has a curly-cue top (called a French curve), curved and straight sides and is simple, yet extremely versatile. The short end has a handy grid for measuring for fractional amounts like 1/8 or 3/4 and the straight edge is a great ruler for getting precise lines. It's real talent is that it makes it easy to create the curves for hems, sides, sleeves and necklines and get them exactly right thanks to the measurements on it. And being clear you can make adjustments easily too. It's also great for doing alterations. 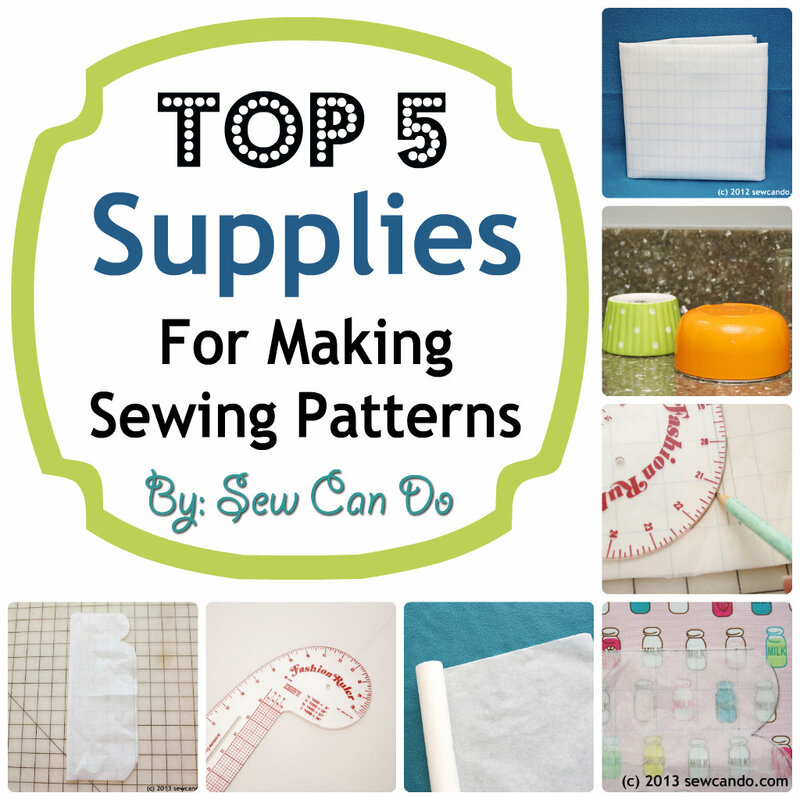 I use mine constantly, so it's a definite must have for anyone who sews, even if you don't make your own patterns. 5. Your Kitchen Cupboard. 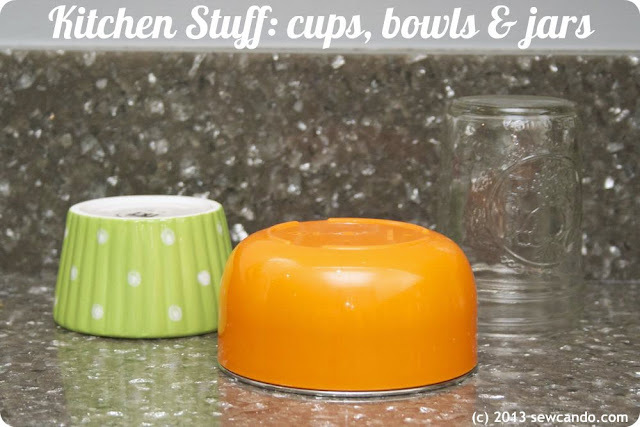 It sounds a little crazy, but your kitchen can really help with drafting patterns. Bowls, jars, caps, containers and all sorts of other things make for ideal tracing. When you need a perfect circle or a very precise shape, these babies can save you a lot of time. I just grab my ruler and an eagle eye and 90% of the time I can find what I need. There are other handy items like disappearing marker & a tracing wheel, but these 5 are the things I reach for nearly every time I want to draft something up myself. Later this week I'll show how I used a few to make a unique shaped bag pattern. 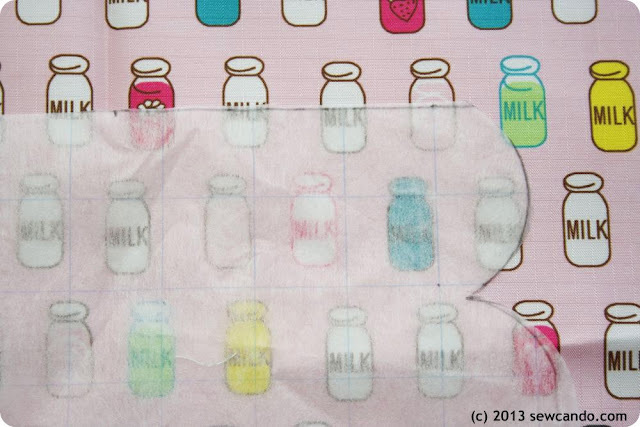 If you make your own patterns is there anything else you use or wouldn't be without? Share them in the comments. Thanks for the info on the paper/interfacing uses in particular. I've been wanting to get into this, but didn't know what would be best for different purposes. I do now! I've never heard to use the interfacing...I love that you can see through it! Best idea ever! It's weird because it's sold in the interfacing sections, but technically it's not meant to be sewn so unless you know about it, you'd never discover it. They really should give it a better name. LOL. Glad to see your recommendations about these helpful sewing/craft items. Thanks, Cheryl! 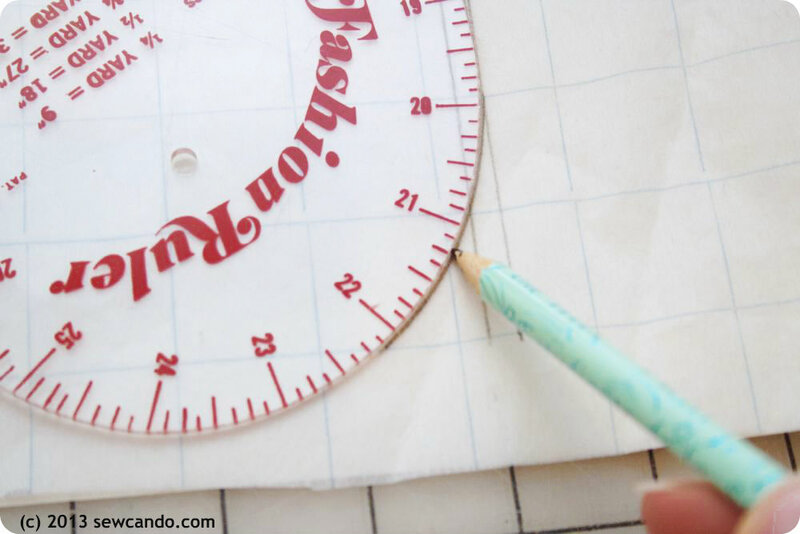 I've never heard of the quilter's layout grid, but it looks really useful! And I've needed a French curve for a while now. Thanks for sharing your tips! It is - my patterns are a lot more precise now that I have it! Ooh, I so need a french curve ruler. Thanks for the detailed information! Great post, I have always wondered about the best papers to use!